Didn’t you just fall in love with the song “Ambarsariya” as soon as you heard it? We sure did! It never gets too old, and we never get tired of singing along with it. But you have to listen to this remix of the song by Vidya because it’s just amazing! 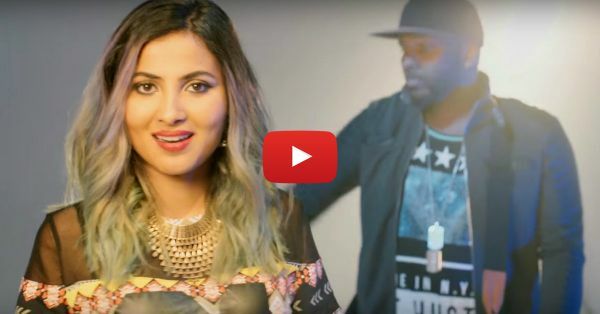 It’s a mashup of Nicki Minaj's single "Truffle Butter" and Fukrey's "Ambarsariya” by Sona Mohapatra and Ram Sampath. We know that no desi girl can resist dancing on the dhol, and this song has the same effect on us because of the amazing beats! We just want to step into our dancing shoes, and dance until our feet hurt. Listen to this song and you’ll know that we are not exaggerating at all! PLUS: Subscribe to POPxo on YouTube for original videos + our favourite videos from around the web! MUST-READ: Roop ​*Mera*​ Mastana: This Video Is Amazing… And SO Much Fun! MUST-READ: Penn Masala’s Antakshari: EVERY Girl Needs This On Her Playlist!